All makes, all models and any condition. You can sell your junk car right now, running or not in Chicago and the surrounding area. If you want to get cash for cars, then we are THE NUMBER ONE environmentally safe, friendly and honest car buying experts in Chicago. When you sell a vehicle to us, we promise to reuse, resell or recycle your junk car in accordance with all state laws for junk car disposal - And remember, running or not, we pay the most - Guaranteed. Sell your car today to Sell Junk Car Chicago and get the most money for your car, truck, van or SUV - Guaranteed. 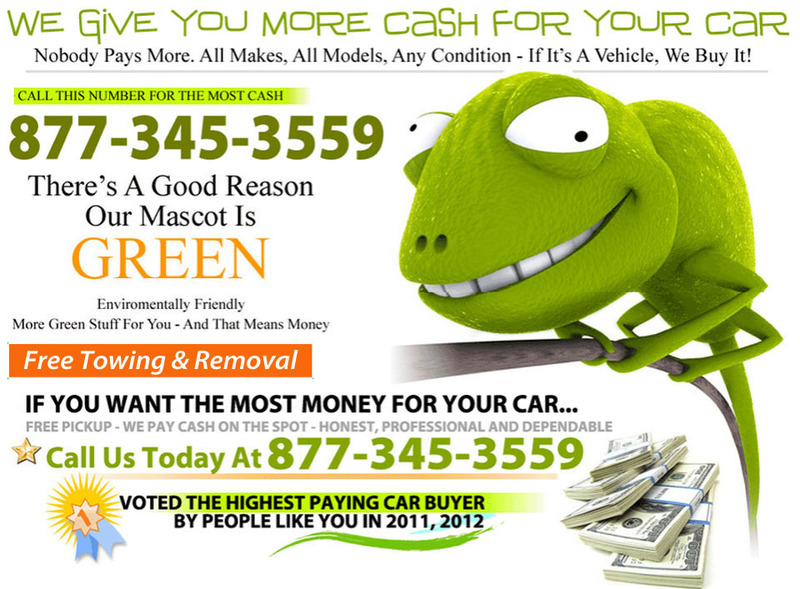 We're YOUR Number One Car Buyer, Sell Junk Car Chicago buys cars and pays more than any other dealer. Sell your used, scrap or junk car the fastest and easiest way (RIGHT NOW!) with us today. We will give you the best quote in just seconds from now. No matter where you are in Chicago, you will get paid $$$ on the spot and get free professional towing - With no hidden fees and no strings attached, we guarantee it.